Discover rafting in Lake Louise. The Lake Louise area is best known for it’s tranquil, blue-green waters. They’re truly a marvel, and worth anyone’s time on a Rockies vacation. But sometimes you’ve just got some adrenaline to get out of your system, and that’s a good time to head over to the white waters around Lake Louise. 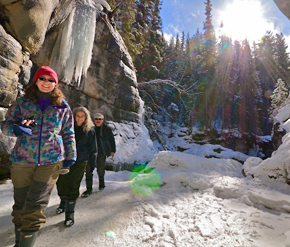 Head on up to Kicking Horse River near Lake Louise. The name suggests a little adrenaline rush, right? 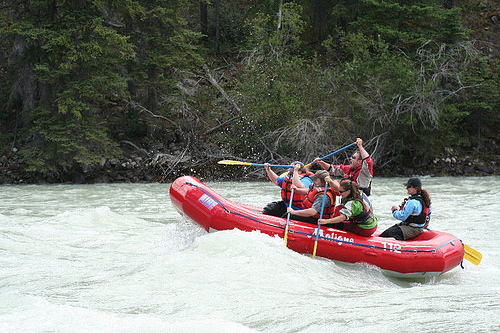 Up there, you’ll find a variety of great Lake Louise whitewater rafting outfitters to set you up for the trip of a lifetime on the Kicking Horse River, or any of the other exciting rivers in nearby Yoho National Park. 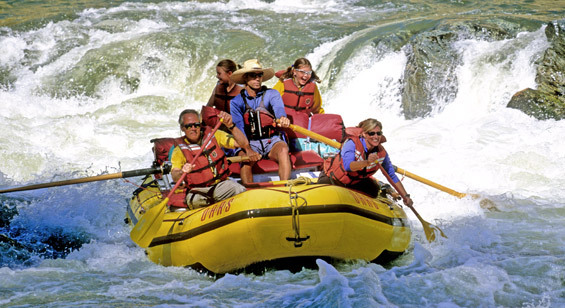 You’re welcome to go rafting from mid-May to mid-September. 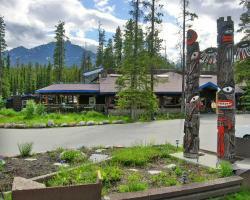 There are trips departing daily from both Banff and Lake Louise. 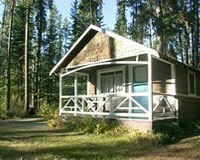 There are plenty of great trips offered on Kicking Horse River as well as trips along the Kootenay River and on Toby Creek. Most of these trips will include river gear and a large barbecue lunch. So once you’ve seen the peaceful waters of Lake Louise, go blow off some steam on the whitewater, and have yourself a good time on your Lake Louise vacation.